Our business shirts represents our brand values – Swedish craftsmanship, premium quality, creative innovation and diversity in style. Cut from performance fabrics made from 100 % premium cotton these shirts guarantee the best wearing comfort and stand out with their impeccably crisp look. Discover our business shirts and find your favourite shirt from modern to timeless and classic. Contemporary and classical business styles. Buttons sewn on shaft for extra durability. All fabrics woven from extra long staple cotton, developed for care-free, all-day performance.  Eton Casual is our collection of shirts made from rawer, untreated fabrics in different weaves and more casual styles and patterns. But there’s nothing casual about dressing casual. The careless approach requires even more care. Dressing sharp with a soft touch is what our casual shirts are all about – a unique and innovative collection with unexpected pieces that will refine your wardrobe and personalize your look. Discover all casual shirts. Extra soft interlining in collar and cuffs for a more relaxed appearance. Washed fabrics using various techniques creating a soft texture. Cut from versatile fabrics such as denim, oxford and flannel. Unbuttoned is a collection of stylish shirts for all relaxed occasions, whether it’s business or weekend casual. The shirts are made from the same high performance fabrics as in the Eton Collection, but in more relaxed styles. You don’t need to settle for less just because you are settled to relaxed – unbutton and lose the tie without losing class. Relaxed styles for business or weekend casual. Includes a wide range of smart and versatile prints. Modern details such as coloured buttons and piping. Classic elegance and contemporary style in perfect balance – the great celebrations in your life leave little room for compromise. This range comprises traditional dress and tuxedo shirts in exclusive materials with beautiful textures and exquisite details, perfectly suited for formal occasions. Discover our Evening Collection. 100% premium cotton, developed for care-free, all-day performance. Evening wear in contemporary and classic styles. Formal details such as French cuffs, stud buttons and plissé fronts.